More innovations are on its way to the Bitcoin gambling industry, and this is in part credited to the new payment solutions delivered by Bitcoin payment service providers like Cubits. Based in London and Berlin, this new firm functions as a Bitcoin wallet, an exchange, and a payment platform that caters to different markets. Included in its list of partners are some of the key players in the online gambling industry, specifically those operating on cryptocurrency. Cubits supports 17 currencies across the globe, making it all the more the better option for players who wish to gamble online and for merchants who need a payment solution for their betting website. Its wallet is user-friendly and provides access to the exchange, where users can conveniently and quickly convert real money for BTC or the other way around. Cubits Pay, on the other hand, benefits gambling operators in such a way that the installation will be a breeze, there are low processing fees and even zero fees for the first €100,000 transactions, and a protection against price volatility is set up. Cubits’ ability to cater to global customers further establishes its efficiency as an instrument in the expansion of a Bitcoin casino as well as in the promotion of Bitcoin gambling. This becomes more evident with its recent partnership with SoftSwiss, a top-class Bitcoin casino software provider that powers up some of the leading casinos on the market. With the team up of the two companies, Bitstarz finds a way to open its entire game library to all its customers. 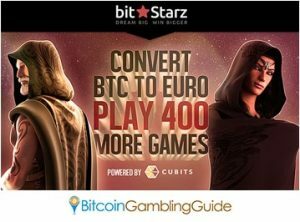 Initially launching as a Bitcoin-only casino, Bitstarz became one of the first betting sites to include fiat payments in order for the bettors to play the popular Microgaming products. However, players could only access these games if they deposit euros. The integration of the services provided by Cubits to the Softswiss-powered platform finally allows even its Bitcoin depositors to play the Microgaming games hosted by Quickfire. The bitcoins deposited through the Cubits payment gateway are automatically converted to euro and can be reverted to bitcoins upon withdrawal. However, players must remember that this option is only available for transactions made with Cubits. Meanwhile, Cubits CEO Tim Rehder believes this professional partnership will benefit his platform, the Bitcoin casino, and the players. This holds true for the bettors since they now have full access to the multi-currency Bitcoin games, and this may also be experienced with the other casinos running on SoftSwiss.